There are 275 Punjabis in the Malaysian police force, a far cry from the once numerous and visible presence of the community. They make up 0.21% of the 133,212 strong force, according to statistics released at the Malaysian parliament yesterday (25 May 2016). In a written reply to a query from an MP, Home Minister Datuk Seri Dr Ahmad Zahid Hamidi, who is also the deputy prime minster, said there was a need to address the racial disparity among the ranks as the non-Malays now make up only 5% of the force. “Of the total, 80.23% or 106,871 are Malays, while Chinese make up only 1.96% (2,615), Indians 3.16% (4,209), Punjabis 0.21% (275) and others 14.44% (19,242),” he said, as reported in The Star. 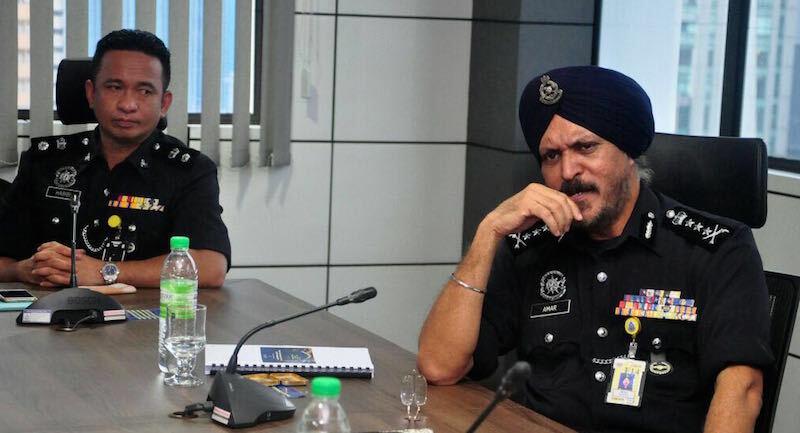 Kuala Lumpur police chief Commissioner Amar Singh is the currently the highest ranking police office among the Sikhs in the force. Next articleDaljit Sanghera: Mother, farmer and Australia's 'Woman of the Year"
they should group the punjabis with the tamilians under INDIAN! Dear Paul Randhawa. The article is based on a report in The Star, a Malaysian newspaper. It states Punjabis. Asia Samachar.. you meant Sikhs or Punjabi.? With the upsurge of the Sikhs getting into international limelight among who is who of the World ..we are certainly proud of Dato Amar Singh. We, the Sikhs though small in any population ratio of the world, yet have proven ourselves to reach the heights in which ever fields we serve in. Hail Sri Guru Gobind Singh Ji’s spirit over us all.